Games Workshop Warhammer 4 mini fighter dragons. May also be for the Dungeons and Dragons or Mage Knight game. Metal, unpainted. 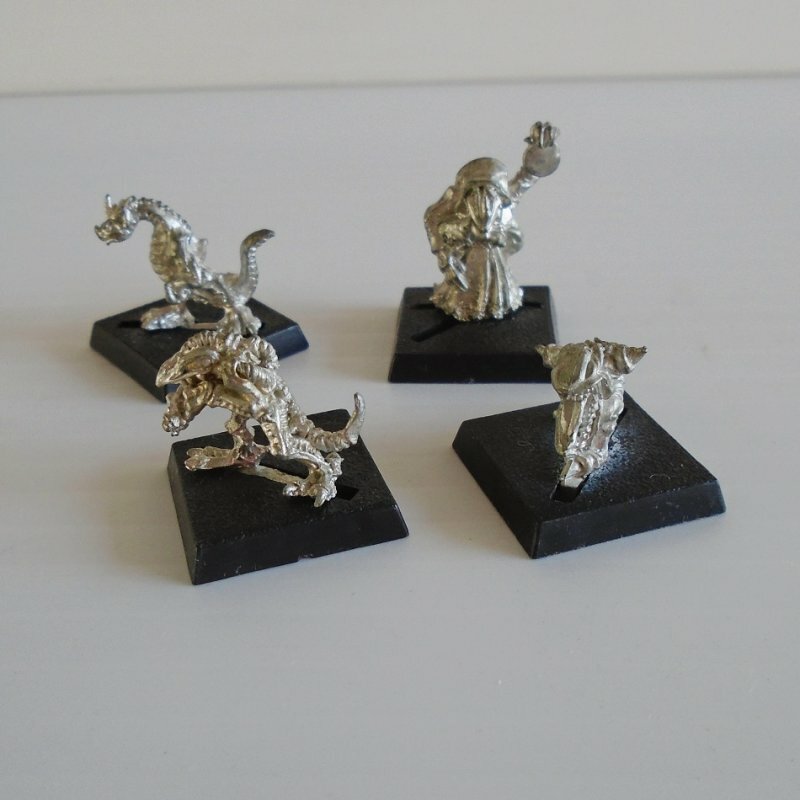 This listing is for 4 mini fighting dragons on stands, at least I believe they are all dragons. At least one is for sure. I believe are for the Warhammer game. I can't promise they are Warhammer parts, they may be for Dungeons and Dragons, Mage Knight, or some other game, but when I obtained them they were mixed in a small box with items that were actually marked as Warhammer. All the creatures are metal, unpainted, and on stands. They range in size from 3/4 to one inch.